Treading On Dreams – What do the Reviews Say? I’m excited and honoured to welcome Lorraine Mace, talented author of both crime fiction for adults and children’s books. You might also know her as Frances di Plino. I’ll let Lorraine explain things in her own wonderful way. I’m also delighted to add that there is an extract from Vlad the Inhaler after the interview. Please see the links below for more information and click on the covers to purchase the books. Writing as Lorraine Mace, I am a children’s author and my debut novel, Vlad the Inhaler deals with some of the issues that many children face on a daily basis. My main character is different and of mixed blood – being half human and half vampire. He doesn’t fit into either species because he is a hupyre (pronounced hew-pire). To add to his woes, he is asthmatic, vegetarian, can’t turn into a bat and is scared of the dark. He is viciously bullied by his bigger full vampire cousins and is an unlikely hero. However, it is down to him to save everyone else from a reign of terror. As Frances di Plino, I write crime and in my novels I try to get into the heads of those committing crimes, as well as those trying to put them behind bars. I firmly believe no one is all good or all bad, so want my characters to show that complexity. In every villain there is a nugget of humanity and in every ‘good guy’ there are aspects of the villain. We all have things in our lives we wish we hadn’t done, for whatever reason, and hope no one will find out about. I want my characters to have multi-layered personalities – good and bad. I’ve explained Vlad above, so will concentrate here on the main character in my crime novels. Paolo Storey’s father was Scottish and his mother Italian. He is fiercely on the side of the underdog and believes in justice above all things. He lost one of his daughters in a hit and run attack meant for him and cannot forgive himself for it. He is very close to his remaining daughter and on (just about) speaking terms with his ex-wife. He’s intelligent, kind-hearted, and I’m more than a little in love with him. Why did you write Vlad the Inhaler? Any other issues or ‘big ideas’ behind it. I was bullied very badly at school and know how it feels to be the outsider who doesn’t really fit in. I wanted to take that feeling and make the child in me deal with those problems in a way I couldn’t at the time. I decided to use a fantasy character because I wanted my young readers to enjoy the story and not feel they were being instructed in any way. The children who have read Vlad seem to love the story. When I did a reading recently, before I began, I explained all Vlad’s problems and I was delighted when one of the children put up her hand and said: he’s just like us! It’s a simple process in that I set word count targets for each day, week and month until the first draft is complete. The complex part is convincing myself to knuckle down and write the words I can hear so clearly in my head. I generally start out with the full plot already formed and have to break it down into manageable scenes so that it makes sense. I tend to come up with the main idea fully formed: knowing who does what, why they do it and how the book will end. That’s the easy part. Fleshing out the characters, adding in subplots and layers is the complex part. I’ve now had three crime novels and one children’s book published, so I must be doing something right! Rewrite, rewrite, rewrite until you cannot bear to look at the manuscript – and then rewrite again. I’ve just had the second in my children’s trilogy accepted by my USA publisher, so it’s time to switch back to the slightly scarier Frances di Plino persona and finish the fourth in the D.I. Paolo Storey series, Looking for a Reason. We need to invent a troll decontaminator. Trolls infect so much of our online lives, looking for victims to attack for no other purpose than to make someone’s life miserable. I’d love scientists to come up with an electronic zapper that turned trolls into decent human beings. An entire day reading at the side of the pool, diving in for refreshing swims when the sun gets too hot. Meals and drinks brought to me by an otherwise invisible attendant. No work, no phone, no distractions, just a full day of me time. I’ve never had one, so if you could wave a wand and arrange for it to take place, I would be forever in your debt. Cinema Paradiso – I first saw it twenty-odd years ago, but even after all this time, the theme and storyline still move me to tears. Thanks Lorraine. I can thoroughly recommend the DI Paolo Storey series to anyone who loves crime fiction with a dark edge, and I’m looking forward to reading the brilliantly titled Vlad the Inhaler. Good luck with all future writing projects, Lorraine. Writing as Frances di Plino,she is the author of the crime/thriller series featuring Detective Inspector Paolo Storey: Bad Moon Rising, Someday Never Comes and Call It Pretending. For anyone interested, here is the opening scene from Vlad the Inhaler, aimed at 8-12 year olds. Vlad had never known such hunger. Weak with longing, he was driven insane by the smell of the ripe flesh he held in his shaking hands. He let his fangs pierce the soft downy skin and sank to his knees. Nothing had ever tasted as wonderful as this; knowing it was forbidden added to the sensation. He closed his eyes and bit deeper, filling his mouth with the sweet fluid. The bedroom door flew open, hitting the stone wall with such force windows rattled, spiders scuttled back to their cobwebs and half the candles blew out. Aunt Valentyna towered above him, red eyes glaring, jet black hair standing on end, and ruby lips curled into a snarl. Vlad choked and dropped his feast, splattering flesh on the flagstone floor. “Well, I’m waiting. What is that?” his aunt demanded, touching the half-eaten peach with the pointed toe of her shoe before reaching down to pick it up. Vlad could feel the juice dripping from his chin and wished he’d eaten faster. His stomach ached. In the last four days he’d only had an apple and a banana. The peach was the last of his human food. He flinched as she grabbed him by the collar. Although he kicked and wriggled, she lifted him with one hand as if he weighed no more than a bat’s wing. Vlad tried to answer, but it felt as though someone had stuffed cotton wool down his throat. He couldn’t drag his eyes from the points of her fangs. Tears of frustration slid down his face. Gasping, he tried again. “Disgusting,” she said, and flung him across the room. Thudding against his bed, he scrambled round to face her. Looking up at his furious aunt, he tried to control his wheezing. Desperately, he struggled to breathe out. His mouth opened and closed, but he couldn’t drag any air into his swollen lungs. The more he panicked, the harder it was to breathe. Valentyna left the sentence unfinished, but Vlad knew what she meant and shivered. The last servant who’d tried to help him had joined the family for a feast. As the main course. She yanked open the wardrobe door and dragged everything out. Clothes flew across the room and landed in a heap on the floor. “If I find so much as a mouldy grape, out the window it goes, and you’ll go with it. A disgrace to the vampire heritage, that’s what you are. What’s wrong with normal food?” she scolded, snatching up the glass of congealed blood from his bedside table. As she waved it under his nose the thick sludge broke through the skin that had formed on top and Vlad’s stomach heaved. She raised her hand and leant forward, sneering. Her long, curved incisors gleamed in the candlelight. Vlad shrank back, hands over his head waiting for the slap. But it didn’t come. Valentyna laughed and slammed the door as she left. Thanks to fellow Crooked Cat writer, Carol Hedges, author of Victorian crime novel, ‘Diamonds and Dust’, for tagging me on this Blog Hop. At the end of this interview I will be tagging another brilliant author, Catriona King, whose DCI Craig detective thrillers are a must-read. Following on from ‘Myopia’, I am currently working on two more YA novels. One contains fantasy elements, although it’s set in the real world; slipstream fiction is the best description. This novel explores universal issues and themes. The other novel that I’ve finished uses football as a subject to examine themes such as bullying and family. It has a grandfather/grandson relationship, and involves some pathos but is ultimately uplifting. The message is something along the lines of: ‘Never give up. Stay focussed and determined if you hope to realise your potential’. My YA novels involve a good deal of realism. As a teacher for over twenty years, I feel I can write about school and teenagers with a great deal of realism. My other novels are more adult-orientated. ‘Treading On Dreams’ is a coming of age tale about obsession and unrequited love; ‘Igboland’ is the story of Lydia, an English woman living in West Africa during the Biafran War. Her own marriage and faith are beginning to crumble when she meets Igbo doctor, Kwemto, and learns a great deal about herself. My fiction stretches across genre boundaries, breaks a few rules and expectations. I tend to believe in good writing whatever the genre, rather than sticking to one type of narrative or setting. My short story collection, ‘A Glimpse of the Numinous’, is a booksellers’ nightmare as it contains horror, humour and romance. I write because my head is full of stories and images that need an outlet, other than through me losing my marbles. Sometimes writing is a cathartic experience. ‘Igboland’ came out of my sentimental attachment to the country of my birth: Nigeria. ‘Myopia’ was a response to seeing the effects of bullying on sensitive students. 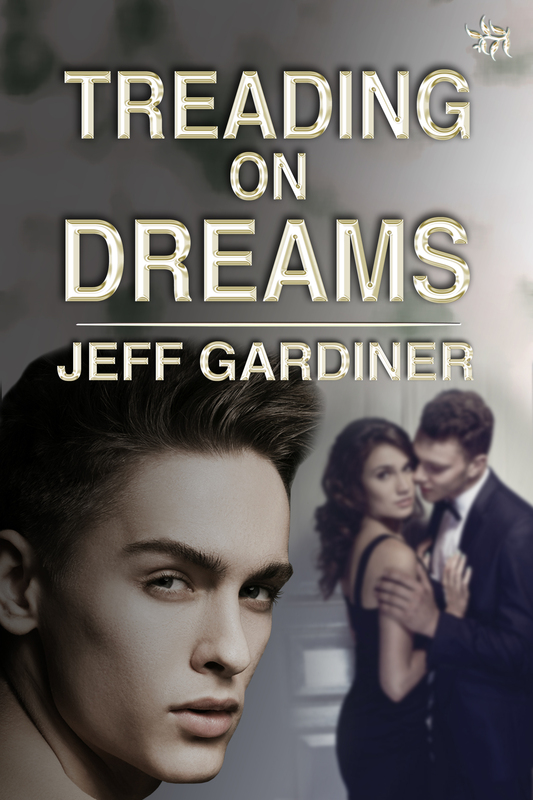 ‘Treading On Dreams’ began as a narrative about a man who is overly sensitive and naive: traits not usually associated with being masculine. I write horror, humour and romance because people are not just one thing, but are complex beings full of hope, anger, light and shade. In practical terms I write two days a week, around my part-time job, and when I can find time. I also have kids, so it’s hard balancing all three aspects of my life. Once I have a project on the go I am very focussed, and on a good day with few distractions, I can write 2000 words. Being a writer does not just involve writing, though. Marketing and publicity is an important aspect that takes up a huge amount of time – something non-writers might not fully appreciate. I love the creativity of writing, but I also enjoy the discipline of editing and improving my work. That’s a skill which goes hand-in-hand with the creative process. Now I’d like to tag Catriona King. The 6th book in her DCI Craig series, ‘The Slowest Cut’ is just out. I’m delighted to welcome Gill James to my blog. Her wonderful novel, ‘The House On Schellberg Street’ is an evocative story set during the Holocaust. Rather than only depict the horrors, though, this novel follows several children who respond to their drastic situations in ways that are inspiring and thought-provoking. Please follow the links at the end of the interview and to purchase a copy, click on the book covers. Typical of a young adult book, The House on Schelberg Street is about finding an identity. It’s about growing up. It’s a Bildungsroman really, but one with a very particular setting. It’s set in the 1940s and skirts around the Holocaust. Sadly, those of us who know about the Holocaust will know some things that the main characters don’t. Yet it’s not a dreary story. I was once advised not to go ahead with it because it might become “too grizzly.” It’s not at all grizzly and there is even some humour in it. The story is in three parts though the dominant story is about Renate who comes over to England on the Kindertransport. She only knows that she is Jewish by race a few days before she is sent to England. She speaks no English. She doesn’t know who she is. The second strand is the story of the best friend who is left behind and helps Renate’s grandmother to hide disabled children in her cellar. There is an irony there: one persecuted person helps to hide another persecuted group. The third strand, told though letters, is of the other friends left in Germany who until near the end of the story have no clue at all about some of the terrible things that are happening. Why did you feel it was important to write this novel? It’s based on real events to which I had access but which weren’t fully explained. Fictionalising them offered a chance of exploring them. The real German girls wrote three exercise books full of letters and I have access to the middle volume. Renate was my mother-in-law and she started to write the story herself. How the special class that was housed at Renate’s grandmother’s house survived has always been a mystery. I offer one explanation. Pretty much all of what I’ve written here, however, is fiction and the letters I include are very unlike the real ones, though they carry their spirit. I try to get the idea into two lines. Then I create a bullet point plot. Next, I try to work out the chapters. I start writing but do another bullet point list for each chapter. It then develops organically to some extent. The story will often take on a life of its own. The characters will make their own minds up. However, I keep coming back to my two-line idea and my main plot plan. They are the backbones of the story. Write, write and write. Read, read and read. You must write every day but set a realistic goal – maybe ten minutes a day. And don’t beat yourself up if you don’t manage it sometimes. If you want to make it as a writer you will but it’s a big “if”. It’s a long hard road but worth it. The second book in the Schelberg Cycle – possibly the darkest. It is the biography of Clara Lehrs, Renate’s grandmother. Yet even this is not totally dark. Clara is feisty and has a great sense of humour. Six hours writing and six hours doing other things that might be considered writerly – marketing, social media, but also walking the dog, reading and watching a good drama on TV. Name a book that means a lot to you. There are so many! I’d probably say something different every day. One all-time favourite is Aidan Chambers’ Postcards form Nomansland. Well-written and set in two places I know. Ah – also containing interweaving stories, one of them in the 1940s. Don’t allow any more Holocausts.